N icole Walsh came to the Santa Cruz Mountains by way of Michigan’s Leelanau Peninsula, where she worked in the state’s wine industry for four years after graduating with a degree in enology and viticulture from Michigan State. Her first job in California landed her with Randall Grahm at Bonny Doon, beginning in 2001, and she is with him still overseeing his newest property—Popelouchum, just outside of San Juan Bautista. She did take a break from Grahm, going to New Zealand for a year with her husband and son to make wine, but then Grahm’s vision of a final great undertaking enticed her back to the northern central coast. It’s here, due east of Monterey Bay in the foothills of the Gabilan Mountains, that Grahm has embarked on his wildly ambitious 10,000 vines project to discover a true American match of vine and site. Nicole’s day job is being the project manager working with engineers, architects, surveyors, contractors, and labor crews to plant and manage orchards, olives, vineyards and gardens on Popelouchum’s 400 acres, in addition to attending to the building of irrigation infrastructure and event spaces. Her nighttime job is making her own wine, which she puts under the Ser label. Ser, essentially to be in Spanish, with reference to origins, is her way of showcasing varietals and vineyard sources with which she has an affinity. Each of these vineyards are influenced by the Pacific, and Nicole is an avid surfer, hence the unifying image of the wave on her label. 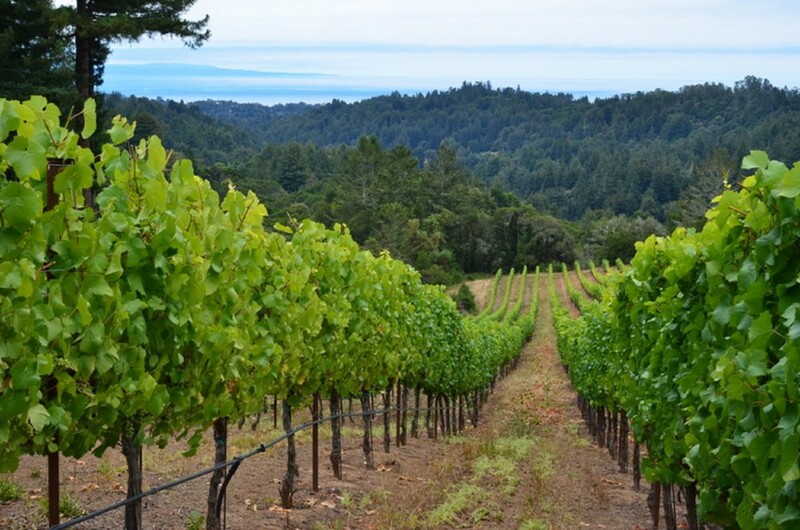 She works with vineyards spread among the Santa Cruz Mountains (Pinot), Gabilan Mountain range, and the Cienega Valley. She is a minimalist in the cellar, working with light extractions, natural ferments, low sulfur additions, little or no fining and filtration. If there’s wood involved in the ageing process, it’s well considered, be it old, new, standard barrels or large puncheons. She works with Cabernet Franc, Cabernet Pfeffer (she’s one of the rare Californians who have access to this grape), Chardonnay, Mourvèdre, Nebbiolo (Barolo may be her most favorite wine), Orange Muscat, Pinot Noir, Riesling, and Syrah. In 2016, she made close to 1,000 cases of small production, single-vineyard wines. Hers are true artisan wines whose strength comes not from high octane or cellar artifice but from clear, clean fruit, and balance. Chardonnay Vineyard located at 2300 ft. elevation in Gabilan Mountain Range on eastern side of Salinas Valley. Soils are decomposed granite with veins of limestone. Farmed organically. Whole cluster pressed, indigenous yeast fermentation and neutral oak fermented and aged 8 months. Completed malolactic fermentation. Bottled unfiltered. A low alcohol of 11.5% which lets the fruit really shine. 50 cases annually. Pinot Noir (Santa Cruz Mountains) Pinot Noir 40% Lester Family Vineyard/ 30% Lilo Vineyard/ 30%Byington Vineyard. Vineyards fermented separately. 5-6 day cold soak with small sulphur addition. Indigenous yeast fermentation, no additions made. 12 day primary fermentation, 8 day maceration. Gently pressed into neutral barrels and 10% new French oak barrel. Malolactic fermentation in barrel, 14 months ageing. 180 cases annually. Cabernet Pfeffer Vineyard located in Cienega Valley (San Benito County), in foothills of Gabilan Mountain Range ~1100 ft above sea level and ~25 miles from Pacific Ocean. Vines more than 90 years old grown on a hillside of granite and limestone soils. Organically farmed. 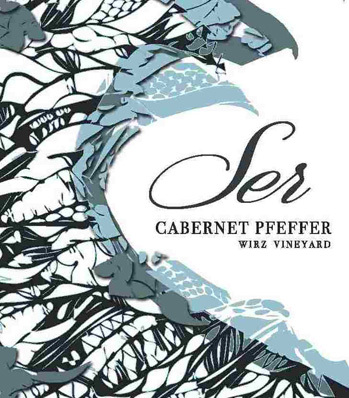 Cabernet Pfeffer is extremely rare variety with less than 12 acres grown in CA. Initially 50% neutral and 50% new French oak. Wine transferred from new French oak to neutral after 3 months. 13 month oak ageing. ‘Pfeffer’ means ‘pepper’ in German and is very fitting for pepper aromas and flavors found in the wine. 50 cases annually. Nebbiolo Destemmed to press, minimal skin contact. Indigenous yeast, stainless steel ferment, bottled prior to malolactic. Tropical essence. Pleasantly dry with bright acidity. 180 cases annually. Orange Muscat Tiny 1.5 acre vineyard in Big Valley District AVA of Lake County. 1400’ elevation. Gravelly clay loam soil, 8-year-old vines. Gentle, whole cluster press. Cool fermentation to maintain aromatics. Indigenous yeast, stainless steel fermentation. Bottled prior to malolactic fermentation. 125 cases annually. Riesling Vineyard located in Cienega Valley (San Benito County), in foothills of Gabilan Mountain Range ~1100 ft above sea level and ~25 miles from Pacific Ocean. Vines approximately 50 years old grown on granite and limestone soils. Traditional champagne bottle method. 13 months under tirage. A very slight dosage for balance. 40 cases.